I have posted this in another thread somewhere but I think it warrants its own thread for discussion. I'd like to know what Spirituality & Mysticism thinks of these ideas. I have not yet read the book but have seen the above video and it is incredibly interesting. What do you think? I love discussing this stuff too. It comes up in many conversations around here. We've been discussing it in the background for years and years. It does offer a glimpse of wisdom one must roll around in the noggin awhile in order to absorb it well. Thanks for posting this thread. Lots of ninjas around here are well versed. The spirit world is a natural wonder and deserves its own serious study over time, refining and refining. I need to make a batch of Aya...and I cant wait to hear more from others. Edited by riseabovethought, 29 July 2016 - 01:55 PM. We'll have to pull out bits and pieces to discuss, there is a lot of information here. Personally at this moment I don't think Jesus was a mushroom but a bemushroomed man. "Through art and archeology, we discover that Nero was the first Emperor to be initiated by secret "magical dinners," and that most of his successors embraced the ritual and its sacramental use of the psychedelic mushroom as a source of spiritual transcendence. The secret religion was officially banned after Roman Conversion, but aspects of its practices were assimilated or co-opted by Christianity, and have influenced many subsequent secret societies, including the Freemasons. Mushrooms, Myths & Mithras is a fascinating historical exploration of a powerful force kept hidden behind the scenes for thousands of years." Edited by Hash_Man, 01 August 2016 - 12:52 AM. "Be ye perfect, as your father in Heaven is perfect." That is pure Deity Yoga , pure Bhakti Yoga . to seek that perfection requires that we seek out our imperfection and remove it. This is not an easy task. Success in religion does not come by beliefs, by dressing a certain way, or attending certain temples, it comes through a rigorous psychological analysis of ourselves. I've been reminded a bazillion times about that stone tablet- the one with amanita mushroom, psilocybe, rue, and poppy in succession. 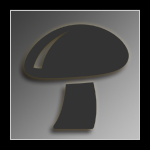 I feel like amanita should be replaced by cannabis, and in that respect; perhaps there is an exact reversal image- with Iboga opposite of poppy, and rue somehow signifies Aya and Cactus- level psychonauting... I wonder if its a sort of map- and once one achieves some sort of understanding of each or even perhaps a combination at precise doses - could yield a new level of psychedelia..a new enlightenment the sages spoke of, and left us clues to find our way to true self- realization. Edited by riseabovethought, 27 October 2016 - 03:54 PM. I like the way you're thinking here Rise! A synthesis of psychedelics, brain enhancing chemicals, other herbs, that by themselves might not even seem remotely "Shamanistic", but together reveal great truths, and allow us to tear back the veils. Edited by SteampunkScientist, 30 October 2016 - 10:07 PM. Paul was a Walrus. Peter was a Pan. Simon was simple and Judas had the really tough job of calling the Romans and Donald slayed the Hillary. Didnt watch the video, but i have heard people's theories on, what if aliens etc hide inside these psychedelics, or seratonin receptor is gate, and plugging it with earth things keeps you here, but insert DMT or etc, it takes you to their realm. Short Version = I dont think Jesus was a Mushroom, but im convinced he had endogenous DMT experiences and consumed mushrooms, and he gained the same stuff us psychonauts have gained just different, like Jesus gained water walking, but John doe gained divine like music powers, or Jane Doe gained extreme painting Prowess . Wouldn't be surprised if people meeting jesus on mushrooms could just be "humans know you more, if non humanoid being appear they will get scared, so Jesus "vibe" can be ambassador for humans"
long version kinda continues from here. imo on jesus was mushroom, gonna also bring up Samson . when samsons' hair got cut he said he felt the lord left him. in regards with Jesus, myself and many other psychonauts. when we train etc in these realms, even tenacious meditation, the connection to other worlds opens, and can allow these other worldly Gods/Goddesses to enter us. on DMT ive Transmuted with and have had many different Gods/goddesses enter me . like from being schooled. brain washed (music, media, commercials, socializing, ) its more less the "Spirit" is in a terrestrial Slumber, and the body is running wild, very much like an untamed tailed beast in naruto. as we open ourselves to otherworldly activities,Religious/Spiritual Pursuits . The body gets subjugated, the spirit Wakes up and connects with its other worldly m8s . in case with samson, im gonna say same thing but different, prolly same with many psychonauts on this site, prolly same with people like mckenna etc . its just that human mind has been so warped into thinking, i wasnt born of a virgin, cant walk on water, i cant make lotus flowers form under my foot steps etc, so im not special etc. now to use an comic and anime analogies and using only dead monks , religious figures . on a b4 and after, for any psychonaut reading this . i hope this is tooken seriously dispite the comic analogies. i know i could say a b4 and after for me . would any1 say that they themselves had a b4 and after . like even b4 psysches or your Religious training ( preferably psyche based) could you say the above ? b4 psyches u didnt have much energy, and now your able to get charged up being in the sun so you got fraction of superman's sun dip powers. or b4 psyches you hated chaenges now you crave them get excited of them, very much like a saiyan . It's possible to over-think some things, especially when the source material comes from accepting and interpreting stories of the past. It might come down to foregoing thinking and simply being. What's more relevant, Jesus, or Christ; the idea, or the experience? I'd definitely like to give some mushrooms to Jesus and Mohammad, and King James, he gets a heroic dose............. I ask myself, who's interpretations of interpretations are valid? And He said, "pardon me"
I said, "Jesus, you look tired"
He said, "Jesus, so do you..."
Edited by Alder Logs, 06 March 2017 - 11:33 AM.